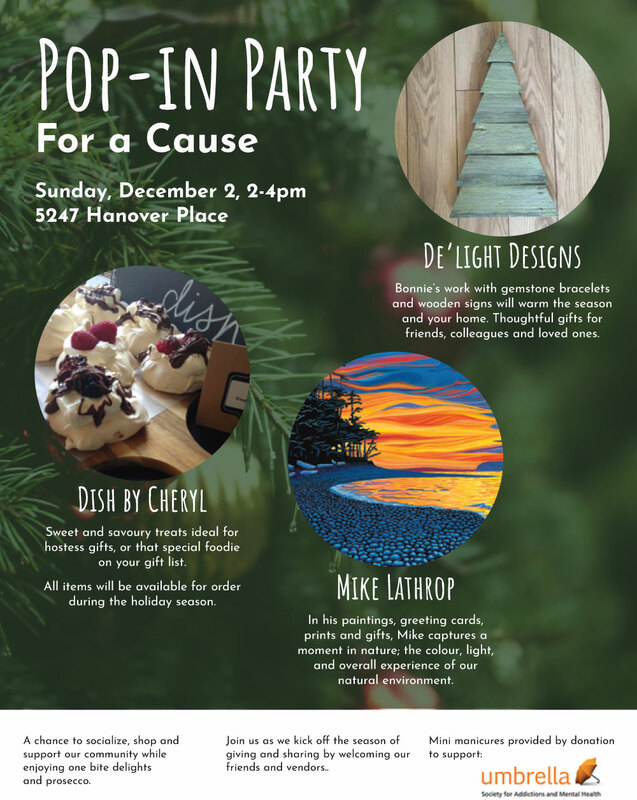 My Friend Tracey and her family are hosting a chance to socialize, shop and support our community at their home in Cordova Bay on Sunday, December 2nd from 2-4pm at 5247 Hanover Place..
I’ll be there, painting on site. I’ll have cards, calendars, prints and paintings on display and for sale. There will also be two other artisans: Bonnie, a Jeweller and crafter of thoughtful gifts; and Cheryl, a maker of sweet and savoury treats that will be available to sample at the event and order during the holiday season. Mini manicures will also be available by donation, with proceeds supporting Umbrella Society for Addictions and Mental Health.